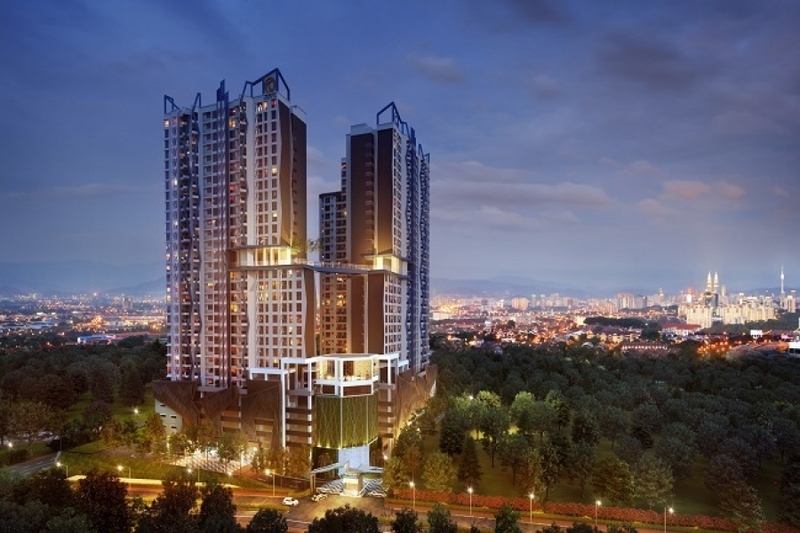 Premier developer Trinity Group Sdn Bhd, which has established a solid reputation for its affordable luxury projects, is celebrating 14 years of ‘Building Communities, Enriching Lives’ with a RM1 Million Giveaway to its customers. From now until 31 July 2018, any purchase of either a unit in Trinity [email protected] Besi or Trinity [email protected] will entitle buyers to exclusive rebates as well as an opportunity to win rewards and prizes worth up to RM100,000. Big value prizes of RM30,000 for the Grand Prize, RM20,000 for the Second Prize and RM10,000 for the Third Prize await the lucky customers. Established in 2004, Trinity Group has grown from strength to strength, holding steadfast to its promise of value creation to enhance the communities where its projects are located. In the past 14 years, over RM14 million has been invested in upgrading infrastructure and facilities at its [email protected], Z [email protected] Jalil and Trinity [email protected] Besi projects, greatly improving accessibility and easing the commute for residents. Trinity Aquata, which is scheduled for completion in Q3 2018, is designed to invoke resort-like living. The master plan was built with versatility in mind and features innovative and functional design elements. Its layout makes moving between its in-built facilities and leisure choices intuitive and convenient. Trinity Aquata boasts several lifestyle facilities including a Gymnasium, Jogging Path, landscaped Sky Bridge that links to two Sky Gardens, Sky Terrace, and Multi-purpose Hall; as well as 16 unique water features such as a Vivarium, Raised Infinity Pool, Water Lounge, Aqua-Reflexo, Bubbling Trail, Hammock Lounge, Pool Deck, Sky Bath, Riverbank Seating and a Rain Pavilion, among others. 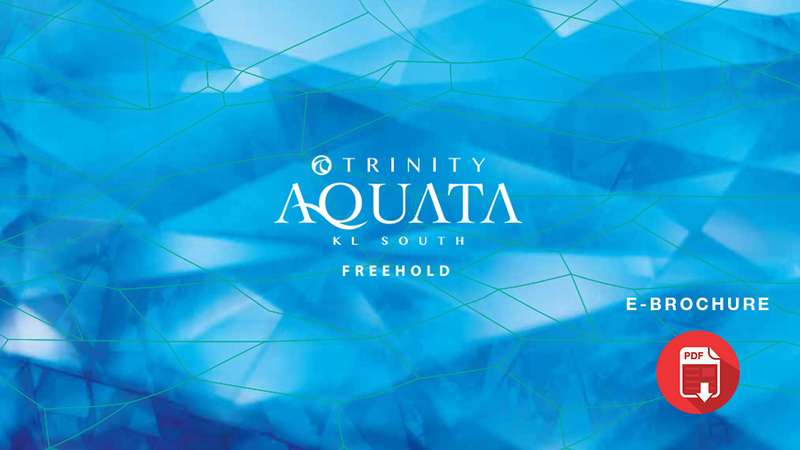 Comprising two 26-storey condominium blocks with 492 units, Trinity Aquata will meet the needs of today’s Generation Y. All units range in size from 839 sq. ft. to 1,420 sq. ft., featuring three bedrooms and two bathrooms, with semi-furnished interiors – making it effortless for residents to customise their homes to suit their lifestyles. Offering panoramic views overlooking the skylines of Kuala Lumpur and Mines Resort City, the development’s strategic location offers great accessibility via multiple highways. It is also in close proximity to the Terminal Bersepadu Selatan (TBS). Meanwhile Trinity Lemanja, launched in 2017, is the only freehold condominium in the mature vicinity of Kepong. With a gross development value of RM320 million, the project offers 583 condominium units ranging from 960 to 1,173 sq ft in a 40-storey block. The crown jewel of the Kepong skyline, Trinity Lemanja boasts a glass-clad thematic clubhouse within its vicinity – a residents-only club house designed as a rendezvous for a myriad of leisurely activities and gatherings. Connectivity to the city and beyond is made effortless via accessibility to six major highways such as Lebuhraya Damansara Highway (LDP), New Klang Valley Expressway (NKVE), Sprint Expressway, Middle Ring Road 2 (MRR2) and the upcoming Duke 2 Highway. Trinity Lemanja also stands in close proximity to seven schools, six shopping centres and three medical facilities, making it the ideal abode for family living. The project is targeted for completion in 2021. Interested buyers can find out more about the 14th Anniversary Bonanza at Trinity Group’s Sales Gallery at Zest Point from now until 31 July 2018 between 9.30am and 6.00pm. For more information about Trinity Group and its projects, call (03-8062 9009) or visit www.trinitygroup.com.my.